Things changed quickly along Broadway just north of Union Square in the decades prior to the Civil War. In 1847 the Manhattan Bank Company began construction of a block-long row of brick-faced houses that stretched from 17th to 18th Street on the east side of Broadway. Completed a year later, the commodious homes were four stories tall and three bays wide—except for No. 872. The house at the corner of 18th Street was a bit grander and wider with an additional bay—a full 34 feet. In 1849, a year after the row’s completion, O. Cammann purchased Nos. 872 and 868. The enterprising Cammann would soon convert the dwellings to income-producing properties. Downstairs at street level was R. H. Timpson & Brother’s grocery store. By the time of the Civil War Samuel P. White had established his doctor’s office here. 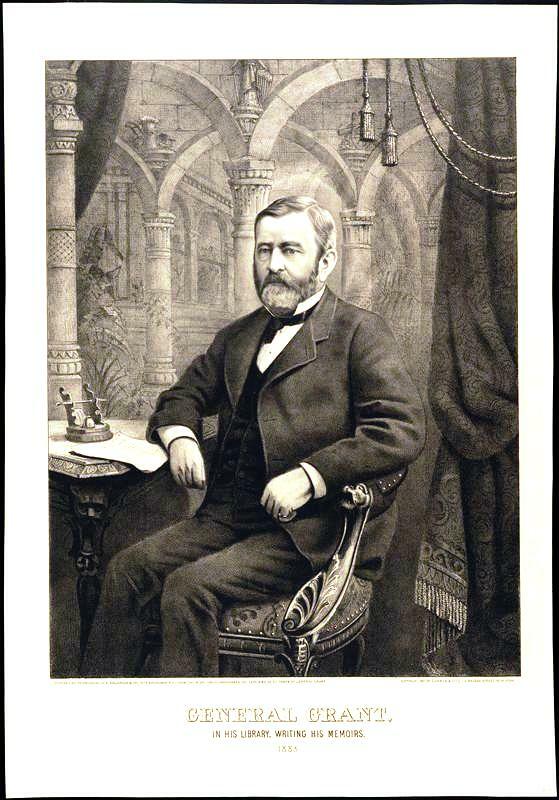 The physician kept an enviable schedule of office hours, 8:00 to 9:00 am, and 2:00 to 6:00 pm. It would appear that at the same time at least one set of rooms was let out for residential use. In 1865 a scandalous affair made the news involving a couple living here, apparently out of wedlock. Around 1850, the “petted son of a millionaire,” as arcanely described by The New York Times in 1865, “wooed and won the beautiful and accomplished niece of an Ex-President of the United States.” The couple lived happily for ten years, then the wife learned that her husband was having an affair with an opera singer. Despite her pleadings to her father-in-law, who eventually disinherited his lothario son, The Times unsympathetically reported that the cad continued to pursue “the siren of the sock and buskin,” and left his wife. When that affair fizzled, he “engaged several young women in correspondence,” finally settling on a married woman, Mrs. Emily Florence Elliott. On August 14, 1865 the couple was living at 872 Broadway when the wronged wife discovered their whereabouts. Other photography studios here at the time were those of J. Gurney & Son and Abraham Bogardus. Working with Bogardus for a period was O. W. Heffer. The British native whom Illustrated New York called “of pleasing manners and strict probity” came to New York around 1878. In 1887 he decided to strike out on his own. Heffer opened a large photography studio and gallery in the same building as his former employer. By now Dorcas—A Magazine of Woman’s Handiwork had been published from No. 872 for nearly a decade. The equivalent of a crafts magazine today, it offered readers patterns for knitting and crocheting lace, infant’s skirts, tidies and shawls among other things. A year later Dorcas introduced a companion magazine dealing solely with knitting. The Continent felt it was a wonderful idea, especially for the infirm. “For an invalid it is always a resource, and a ‘new stitch’ is almost as important a matter as a new remedy, and if fascinating enough, may even do away with the necessity for the remedy,” it said. The street level retail space was home to Edward J. Dewey Lamps by 1894, renamed as Dewey & Johnson Lamps three years later. As the turn of the century approached the apparel and millinery district inched up Broadway. Perhaps the first indication here was The Cosmopolitan Shirt Store in 1899. Upstairs the same year was Westlotorn’s Detective Agency. After more than half a century of family ownership, Oswald Cammann sold the building to James W. Ketcham. The Whitcomb Metallic Bed Company was here on November 17, 1900 when an earth-rattling manhole explosion occurred outside. A cable car had just passed over the manhole cover and the passengers “many of them women, rushed for the street. The conductor quieted them, however, and no one was injured,” reported The New York Times. Exploding sewer gas sent the manhole cover several feet in the air and the blast shattered the large plate glass window of Whitcomb’s. “Many hundred dollars’ worth of plate glass was broken,” said The Times. James Ketcham was unable to make payments on the property and in January 1901 it reverted to Cammann in foreclosure. Cammann quickly turned the building over to B. F. Hawes. Hawes started an extensive renovation project to bring the old converted house into the 20th century. He commissioned architect Frederick Jacobson to refurbish the structure into a modern commercial building. The result was significant. Jacobson stripped off the brick façade and replaced it with stone that framed two three-story tall bays. Around corner the architect left the old brick, but repeated the stone-framed show windows for continuity. Large, elegant open shells added flourish to the carved moldings. Above it all, an overhanging cornice on the slightly heightened façade announced HAWES BUILDING. The refurbished building had a variety of tenants. In 1903 mining broker J. A. Fysh had his office here. Plymouth Raincoat Company moved in and by 1917 Mort Peoples, an electrician, was doing business here. Along with Plymouth Raincoat more and more apparel companies appeared. In the 1920s Panama Neckwear, makers of men’s silk neckties and cravats, was here. 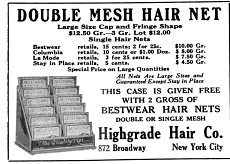 At the same time La Mode Hair Net Company was a tenant as well as the Highgrade hair Co., which also dealt in hair nets. Hazelkorn Brothers, button wholesalers, was in the building in the 1930s. The other four houses of the original row still retain much of their residential flavor. While the street level of the Hawes Building has been substantially altered, the upper floors are intact. A glance at the four buildings to the south, survivors of the row of one-matching houses, provides an idea of the original appearance of No. 892 and of the residential character of the block in 1847. I was glad they fixed the middle building. It had looked like it was caving in on itself.